A collection of our wooden eye candy. Working on the front lines of forest restoration for 10 years, I have come to understand that awareness and commitment are needed to recreate functional ecosystems. As biologists and environmentalists, it is our job to do everything we can to care for our environment. Here on O`ahu, Hawaii, we have been blessed with abundant (and gorgeous) natural resources. Some of these trees have been labeled as 'invasive' species and need to be removed as they were posing a threat to the other species in the area. Instead of discarding these trees, we are choosing to make them into beautiful and functional works of art! Our style, simply put, is natural!! We are lucky that the wood provides the color, the features, and the story. Our job is to bring those qualities out and share them with the world. 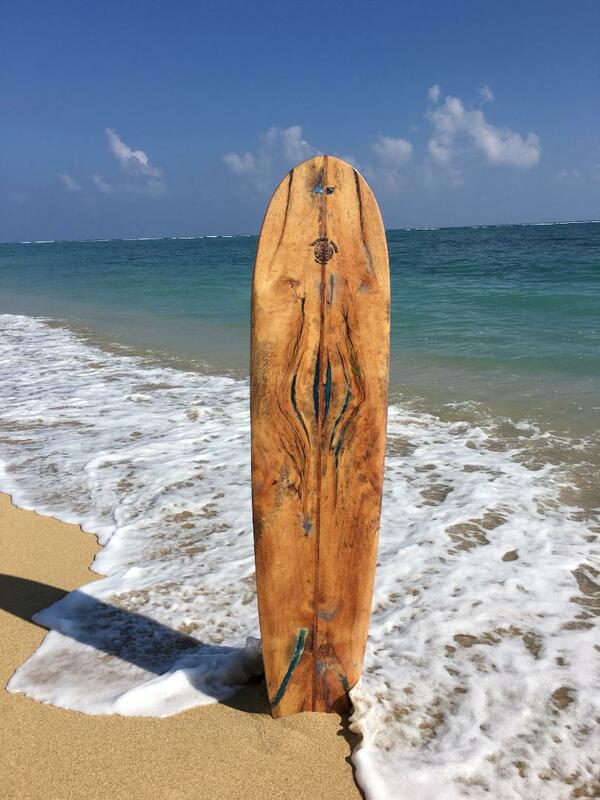 The wood used on our furniture and buckles are locally grown and locally made right here at the Old Waialua Sugar Mill, on O`ahu's North Shore. Logs that were destined for the dump or scraps that were to be sent the fire pit are revitalized and given another chance to tell their story. 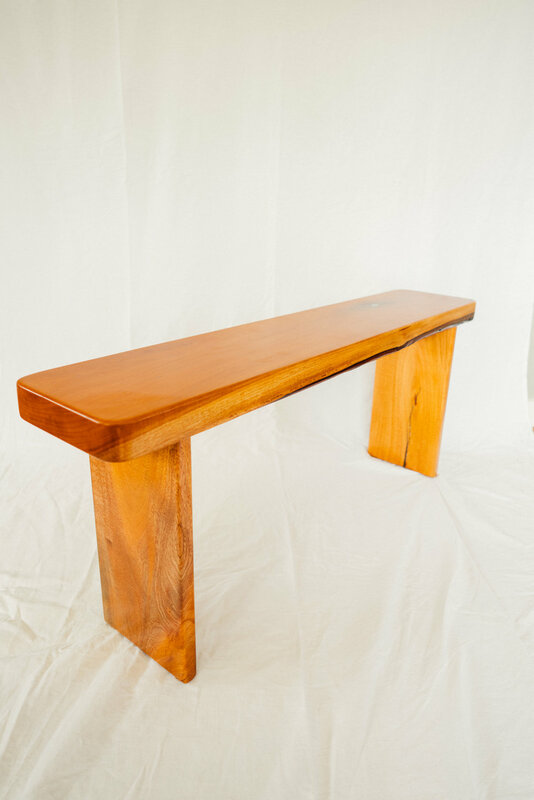 We take pride in using whole pieces of wood and keeping the "live edge" and integrity of the tree. The smaller pieces left over are made into cutting boards by our partners and the smaller pieces we use for belt buckles. With every sale we give a part of our proceeds back to local non-profits directly involved with native forest restoration.